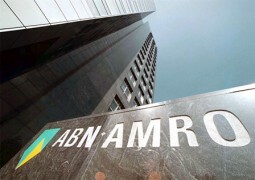 Paytech heavyweight ACI Worldwide has extended its relationship with the Dutch banking conglomerate ABN Amro. ABN Amro will use ACI’s UP Retail Payments solution to keep up with the innovation demands of it consumer and corporate customer bases, the vendor says. The bank is a long-term ACI customer, and also uses ACI’s UP Payments Risk Management solution. The bank says it aims to achieve cost savings by migrating to a more cost-efficient IT platform. Recently, India-based Utkarsh Small Finance Bank (USFB) became the first bank in the country to go live with the latest version of ACI Worldwide’s UP Retail Payments solution, hosted by AGS Transact Technologies (AGSTTL). Canada’s BMO Financial Group also implemented a new payments hub based on the ACI Worldwide UP solution.